The law firm VAZ E DIAS ADVOGADOS & ASSOCIADOS has as a mission render legal services of excellent and personalized in the field of intellectual property law and related matters, highlighting always the interest of the clients and the peculiarities of its economic field, for the realization of business. The services for the protection of technological innovations by patent of inventions and utility models, provided by the firm VAZ E DIAS ADVOGADOS & ASSOCIADOS, involve the search of novelty, inventive step and viability of the patent protection (also known as availability patent search) in relevant scientific fields, as well as the preparation of the patent application, the patent filing and the leading and monitoring of national and international filing of patents. In this point, it should highlighted that the professionals specialized on drafting patents are holder of knowledge and expertise in specific relevant fields, such as pharmaceuticals, biotechnology, chemical engineering, mechanical engineering, electrical engineering and related sciences, among others. Yet, these professionals have the expertise to patent drafting for the protection and to comply the legal and technical office actions issued by the Brazilian Patent and Trademark Office (BPTO) and by Patent Offices of foreign countries bounded by the Patent Convention Treaty (PCT) and the Paris Convention. By rendering such consulting services, the firm disposes monitoring services of competitors and assists Brazilians and foreign businessmen to implement a “Patent Protection Plan” and a “Trademark Protection Plan” for diverse jurisdictions, bearing in mind 4 main aspects: (i) Countries of Bigger Market; (ii) Countries of Direct Importance to the Client; (iii) BRICS’ countries and (iv) Countries of Latin America. As part of the protection, our technical professionals gather with our attorneys for the elaboration of legal opinions about the patentability, possible violation of patents and industrial designs, enforcement of plant varieties, developing also strategies of action and defense. The knowledge in the technological innovation allows the rendering of the Freedom to Operate (FTO) services and the Technology Roadmapping, as instruments to draft market and technology strategies, investments in new business and patent protection. The Technology Roadmapping (TRM) is a method of analysis that support companies and research institutions to plan strategic development of new technologies in view of the continuous technology advancement and the fast market technological change. The proliferation of new technologies has impacted in the reduction of a lifetime of technologies, since they quickly become obsolete with the creation of new techniques every moment. Therefore, it has become indispensable for the competitiveness of a company the development of new products so that the companies may conquer market and maintain competitive in the hostile competitive environment. The TRM allows obtain the picture of the regional or sectorial development technological scenario in conformity with the companies and public institution interest. For other technological developments that are not protected by patent, such as trade secret and proprietary technology (if not patentable), our attorneys also support businessmen to take the needed specific proceeding for protecting or maintaining the confidentiality of secret or proprietary information, following the access restrictions determined by the industrial property law and case law. In the area of industrial designs, we provide the assistance necessary to protect the design of new products, ensuring differentiation and exclusivity ahead the market. The National Institute of Industrial Property (INPI) grants registration to a variety of products in the industry, such as fashion, consumer goods, automotive parts, household appliances, packaging, etc. Our technical professionals have the expertise to assist designers in the correct preparation of representative drawings necessary for protecting their creations. The plant varieties are protected in the Brazilian territory by means of a specific registration at the Cultivar National Protection Service (SNPC) of the agricultural Ministry. This registration is peculiar and the protection suffers limitations related to the replanting and commercialization of seeds and vegetal parts. The law firm VAZ E DIAS ADVOGADOS & ASSOCIADOS supports the businessmen in the preparation of filing, payment of official fees, filing of plant variety for registration and leading the administrative proceedings of national and international protection for the plant variety. Such services encompass the availability search for registration of the varieties and legal report on violation of the registration obtained at the SNPC. Specific services rendered by VAZ E DIAS ADVOGADOS & ASSOCIADOS encompass the elaboration of legal opinions and the tailoring of strategies to strengthen the protection of plant varieties in Brazil, including the prohibition and restriction of replanting and commercialization of varieties by farmers. For those varieties not registered or that do not fulfill the protection requirements, including the hybrids, it is always sought new forms of protection, such as trade secrets. Our law firm leads trademark availability search, domain names, trade names and other distinctive signs in national and international database, aiming to assist the businessmen about the best strategies for the protection and risk reduction in the violation of third parties’ rights. We are able to lead also the administrative proceedings at the Brazilian National Institute of Industrial Property (INPI) and other foreign/international agencies (by using foreign associates) for the protection of trademarks and industrial design, including oppositions, appeals and administrative nullity. Among the consulting, we dispose also monitoring services for the trademarks, domain names and industrial design with the objective to hamper conflicting trademark filing and those of opponents so that these trademarks do not mature into registration before the INPI. Registration, control and cancellation of domain names at the “Núcleo de Informação e Coordenação do Ponto br” and its corresponding protection overseas also are rendered by our services to the clients. We also monitor marks and trade names at the existing Board of Trade in Brazil, assist the exploitation of commercial establishment by means of support and elaboration of assignment, among others. The monitor and legal practice in the trademark field also involve the trade dress of products, the regulation of trade dress of pharmaceuticals, following the requirements of the National Sanitary Surveillance Agency (ANVISA), and the comparative advertising, the practice of ambush marketing, among others. The consulting services in the copyright field involve the assessment on the need to register or not the artistic, scientific and literary work, as well as software in the Brazilian territory and in foreign jurisdictions, such as the United States and the European Market, so as to increase the efficacy of the copyrights in court when violated by third parties. The obtainment of previous government authorization for the exploitation of copyrights is a relevant part of our services to permit our client to exploit them extensively in the Brazilian territory. Furthermore, the expertise of our attorneys permit to provide inventors, titleholders and performers of copyrights in the elaboration of contracts for the exploitation of copyrights, including licenses and agreements with users and artists, and agreements of publicity exploitation and audiovisual. Legal problems and court actions are very common in the field, in view of the competitiveness of businessmen in the conquest of clients and use of publicity works to promote their product and services. Therefore, the law firm VAZ E DIAS ADVOGADOS & ASSOCIADOS holds a specialized team in the court action assistance in such areas as entertainment and copyrights. For the software, the law has broaden its activities to legally assist titleholders of copyrights in protecting their rights against unauthorized third parties and exploiting their rights, including the use of fiscal benefits granted by diverse local laws and specific regulations. In the enforcement field, we defend the client’s interest by adopting measures to protect the intellectual property rights, such as repression to the unfair competition, patents and trademark nullity actions, preliminary injunctions to cease the unauthorized use of plant varieties and trade secret, semiconductors, the combat of software piracy and copyrights, and lead search and seizure measures, prevention of parallel import and any needed proceeding in the defense of the client’s interest. In regard to plant varieties, we are organized strategically to make the court decisions effective and prevent at once the violation of the industrial property rights, including the dispatch or our attorneys to the agricultural field to seize the violating plants and destroying them. In the patent violation, there is a continuous and joint participation between our attorneys and professional people composed of pharmacists, biotechnologists, electrical engineering, mechanicals and professionals of other technical fields. All of it aims to tailor strong arguments and strategies to defend the client’s rights and attack competitors that violate their patents in Brazil or overseas. For the exercise of our activities in the enforcement, we have partnership with associates in all states of Brazil, particularly in Brasilia where the federal supreme courts are located. The mentioned partnership with selected associates is of utmost importance for the success of the court proceedings, since the violation of intellectual property rights are seen in several states, mainly in the main ports of entry of counterfeit and parallel import products. We work overseas together with foreign associates to evaluate the possibility to initiate court proceedings or leading court actions to make the intellectual property rights of clients respected in the international market. We examine and tailor licensing agreements involving the exploitation of the intellectual property rights and technology transfer, as well as address specific clauses, legal controversies and opinions issued by the examiners of the INPI during recordation proceedings. For the rendering of such services, we hold a strong knowledge on the fiscal field, the foreign exchange control, regulations of the Brazilian Central Bank and other laws and peculiarities that permit us to guide our clients on the secure and effective remittances of royalties overseas with lessen tax impact, as well as draft strategies to ease the payment and/or receipt of remuneration from the use overseas of Brazilian technologies and intellectual property rights. Within our practice in contracts, we may elaborate and guide joint-ventures and transfer of assets of companies, and act before the Economic Development and Administrative Council (CADE), the National Institute of Industrial Property (INPI), the Brazilian Central Bank and the Ministry of Industry and Foreign trade, among others. We hold experience in the participation of negotiations in technology transfer and licensing agreements to assist our clients in the legal matters and the applicable rules that greatly influence the parties’ interest to license such technologies. Yet, we lead the recordation proceedings of technology transfer (trademark licensing, patent exploitation, supply of technology, technical assistance and franchising) before the INPI and at the Brazilian Central Bank. We have professionals with knowledge in franchising and that render services to Brazilian and foreign franchisor for more than 15 years so that foreign franchisor may exploit adequately its franchise system in the Brazilian territory and obtain the royalties and the Brazilian franchisors may adequately format their business and move ahead to the internationalization. Among the legal assistance linked to franchising, we highlight our expertise in the elaboration, revision and “tropicalization” of the Franchise Disclosure Circular and agreements, besides the elaboration of relevant documents for the exploitation of franchising, such as the by-laws of franchisor, confidentiality agreements, Board of Franchisees etc. The consulting services disposed by our firm also cover the representation of franchisors before the Ethical Board of the Brazilian Association of Franchising (ABF). The Brazilian Innovation Law (Law 10,973/2004) has the merit of establishing the legal framework for the public-private partnership by means of research and development agreements (R&D). The Innovation Law has made possible for the Brazilian businessmen to seek partnership with those public research and universities and knowledge for the increase of competitiveness. It is recognized that more than 80% of the PhD researchers with technical background are still located at the public research centers. Therefore, such partnerships are viewed as great opportunities for developing new technologies and adopting them in the market. Further to that, the Innovation Law has been complemented by other legislations and regulations that permit companies to benefit from innovation financing and tax credits and deductibility, among others. The law firm VAZ E DIAS ADVOGADOS & ASSOCIDOS holds attorneys and specialized personnel that render consulting services in the innovation field. Therefore, we assist managers specialized in the promotion of innovation and private and public intellectual property centers in the management of intangibles and to implement the partnerships in the research and development (R&D). Such legal assistance involve the elaboration of strategies to indicate the most adequate protection for the developed technology under the R&D partnership, as well as the elaboration of agreements and legal documents that protect the technological knowledge, preventing therefore the misappropriation of technology by competitors. The provided assistance relates also to the indication of existing controversies in the technological partnership, such as the co-ownership of the developed technology and the revenue sharing and exclusive licensing and exploitation of rights. In view of the known expertise in innovation law and management of technology and intellectual property rights, our professionals are invited to lead trainings and “workshops” to enable businessmen and public research institutions to manage adequately their intangibles and permit the exploitation of the technologies under the innovation partnerships, as well as lead businessmen to benefit from government financing, subsidies, tax credits and deductibility. Please contact us directly by site, using our form and soon we will return the contact. Attorney at law specialized on patent, trademark matters and foreign investment law since 1993. His activities are focused on the legal support and consulting to foreign companies that want to invest in Brazil, especially in the technology fields. He works on trademark prosecution and patent and trademark litigation, and various matters related to foreign exchange control laws, technology transfer and taxation matters applicable to the inflow of technology and investments. He holds a great knowledge on the legal side of biotechnology patents, plant variety rights and pharmaceuticals, which allows him to draft adequate strategies for exploring such inventions in the Brazilian market. 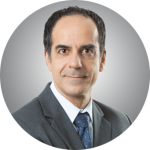 One of his expertise is to participate in the negotiations and drafting of technology transfer, licensing agreements, joint venture, distribution, franchising and other commercial agreements that aim to exploit intellectual property rights in the Brazilian territory. 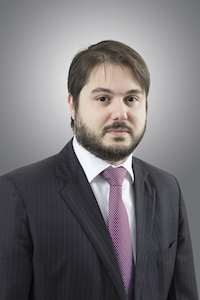 Most recently, Mr. José Carlos Vaz e Dias has been extensively working with the Brazilian Innovation Law and its peculiarities to obtain fiscal benefits and funding granted by the local government. Therefore, he has led several research and development agreements involving Brazilian research centers and companies (including foreign ones) and he has given support to companies on matters of intellectual property and fiscal laws. He holds a strong presence in the enforcement of intellectual property rights and implementation of programs to prevent counterfeiting and parallel import in the Brazilian territory, especially in the main ports and cities that manufacture and distribute such products. His intellectual strength comes from the broad knowledge of various legal fields (taxation, antitrust, corporate law and consumer rights) that makes him capable to apply them to the protection, enforcement and exploitation of IP rights. Further, he graduated from the University of Brasilia (UnB) and obtained a master degree (Masters in International Business Transaction – LLM/Kent) and a PhD (foreign investment and intellectual property rights – PhD/Kent) from the University of Kent at Canterbury in England. JOSÉ CARLOS VAZ E DIAS is a Professor on Intellectual Property Rights from the State University of Rio de Janeiro – UERJ. He has written several local and international publications and he has led seminars and speeches in associations such as Brazilian Franchise Association (ABF), Brazilian Intellectual Property Law Association (ABPI), Brazilian Industrial Property Agent Association (ABAPI), World Intellectual Property Law Organization (WIPO), International Trademark Association (INTA), Licensing Executive Society (LES), among others. Attorney at law specialized on patent, trademark matters and foreign investment law since 1993. Mechanical Engineer with undergraduate course from the Federal University of Rio de Janeiro (UFRJ) in the Academic Format “Co-Joint Graduation” with the Technical University of Denmark (Kongens Lynby). She developed at the Danish university research on the Control and Smart Materials focusing on the analysis of vibration control using Smart Materials. She is developing at the moment her Master studies before UFRJ. She holds a broad experience in automation, performing activities related to reviewing mechanical failures and elaborating pertinent technical documentation related to analysis performed incorporating sensing, detection and implementation of control tools. 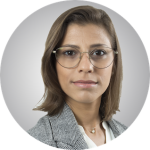 At VAZ E DIAS ADVOGADOS & ASSOCIADOS, Ms. Castro executes activities related to the protection of inventions through patents, topographies and software. She has been involved since 2015 in the prosecution of applications at the Brazilian Patent Office (INPI), especially those related to mechanical vibrations, control and automation systems, as well as industrial products and processes, and mechanical and automation engineering, in general. Moreover, she works directly with the stages of the national and international patent applications prosecution, in accordance with the Patent Convention Treaty (PCT). It should be highlighted, the thorough work led by Ms. Castro in the Freedom to Operate (FTO) and RoadMapping tasks, by means of identifying technological routes through patents. Her ability to lead these complex issues comes from the technical knowledge in the examination of mechanical systems and professional practice gained across many projects involving rotating machines in general. Ms. Castro guides national and international clients, clarifying their queries, leading the examination of patentability requirements, elaborating technical reports and petitions, such as responses to office actions, appeals, subsidies to support the technical examination and nullities with the INPI. Mechanical Engineer with undergraduate course from the Federal University of Rio de Janeiro (UFRJ) in the Academic Format “Co-Joint Graduation” with the Technical University of Denmark (Kongens Lynby). PhD in biological chemistry (biochemistry) from the Federal University of Rio de Janeiro (UFRJ) with doctoral internship at Albert Einstein College of Medicine (New York, USA). Joana’s PhD thesis explored the molecular recognition between minimal peptide sequences and their biological targets through structural and thermodynamic analysis. Joana is a biologist, holds a bachelor’s degree in genetics and a master’s in biochemistry from UFRJ, where she studied the stability of enzymes against classical stabilizers and natural ligands. Joana held postdoctoral degrees at Weill Cornell Medical College, New York, USA and Faculty of Pharmacy of UFRJ developing projects in biotechnology and structure and function of proteins of medical importance. Joana Faber Barata works as a technical professional in the patent and innovation fields since 2013. 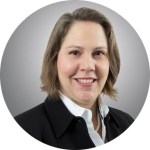 At VAZ E DIAS ADVOGADOS & ASSOCIADOS, she leads patent protection work to life science, including medical, pharmaceutical and biotechnological fields. 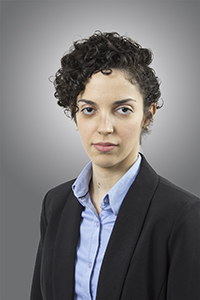 The daily activities of Joana Barata include the orientation of national and foreign clients to the protection of technological inventions, through the patent system, and patent search, elaboration and technical revision of patent applications and utility models, especially those related to biotechnology, pharma process and products. 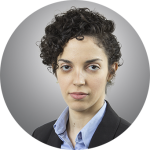 Regarding patent prosecution, Joana Barata has extensive experience in preparing technical opinions in life science and biotech, including, subsidies, priority examination, appeals, nullities, in addition to providing technical support for legal action procedures. Additionally, Joana Barata is involved in biodiversity matters and access to the Brazilian genetic patrimony, including acting on behalf of clients before the Genetic Patrimony Management Council (CGEN). PhD in biological chemistry (biochemistry) from the Federal University of Rio de Janeiro (UFRJ) with doctoral internship at Albert Einstein College of Medicine (New York, USA). Attorney at law with experience since 2011 in trademark prosecution, administrative case law of the Brazilian National Institute of Industrial Property (INPI) and in the support of unfair competition and copyright matters. Graduate in law studies from the University Cândido Mendes (UCAM) in 2015 and Industrial property Agency since 2011. 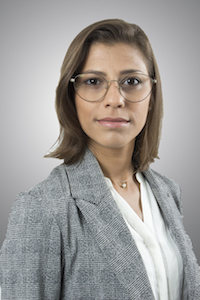 At the VAZ DIAS ADVOGADOS & ASSOCIADOS, her work relates specifically to the assistance on the protection of the clients’ trademarks at the INPI and in their defense by means of oppositions, administrative appeals and nullity procedures, among other measures. 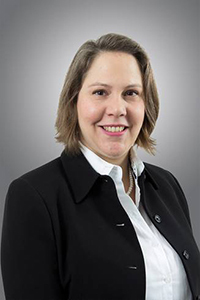 Further to that, Savana Castilho holds great knowledge on the elaboration of strategies to obtain the registration and block trademark applications of third parties as well as to provide the adequate support for the protection of trademarks in other jurisdictions, through the Paris Convention and the TRIPS Agreement. In the unfair competition arena, her expertise relates to the examination and adoption of legal measures against disloyal practices and parasitism, especially those found in new commercial platforms used for trade, such as social media. As to copyright, Ms. Savana de Castro Castilho focuses on the elaboration of legal opinions and directions addressing literary and artistic works, as well as the registration of such intellectual works before the Brazilian National Library and the School of Arts. Attorney at law with experience since 2011 in trademark prosecution, administrative case law of the Brazilian National Institute of Industrial Property (INPI) and in the support of unfair competition and copyright matters. Attorney at Law graduated from the University Estácio de Sá (UNESA) and post-graduated from EMERJ (Law School of Rio de Janeiro State Court) on the civil responsibility and consumer laws. He is now undertaking an MBA in Corporate Control and Compliance at Trevisan and also Post-graduate studies on the Civil Procedural Code at Candido Mendes University. Thiago Lombardi holds a great expertise on conducting clients through court suit proceedings, especially big companies such as those related to airplane services, telecommunications, mining and financing institutions. 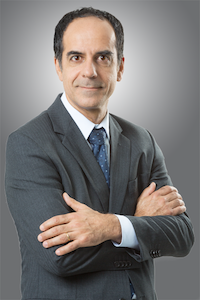 One of the most prominent characteristics of Thiago Lombardi is the ability to draft strategies for court proceedings following up the rules and routes provided by the Civil Procedural Code, including the thorough examination of the proceedings to point out possible nullities derived from the opponent’s activities, especially in the patent field. Due to his experience and knowledge on the Civil Procedural Code, he leads complex court suits related to unfair competition and patent infringement. 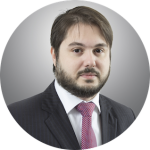 At the patent side, Mr. Thiago Lombardi assists and works with the technical professionals of the VAZ E DIAS ADVOGADOS & ASSOCIADOS in the elaboration and revision of reports concerning Freedom to Operate (FTO) and Patent Infringement or Non-Infringement opinions.